Every person faces depression more than once in his/her life. Sometimes it is hard to find if you are depressed or not. Visiting a psychiatrist is the best option if you find some symptoms of depression in your life. 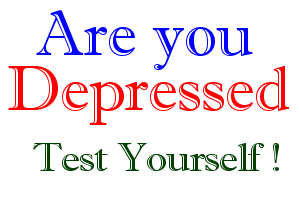 Here we have made a simple quiz, which will help you in detecting if you are depressed on not. So before you plan to visit a psychiatrist just perform this simple DIY (Do-It-Yourself) Quiz. It will just take a few minutes to get your depression score. This test will take just 3 minutes of your precious time. If your score is above 35 then you must visit a psychiatrist and get yourself checked.